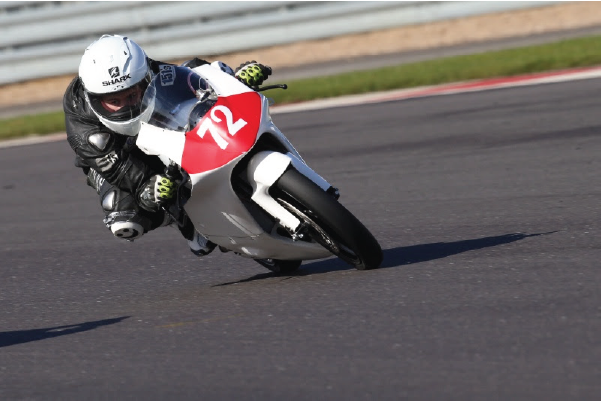 It was a weekend of two halves for Lewisham based Cameron Horsman, after showing solid pace in free practice and qualifying in fourth place, the bike would then develop a technical problem in Sunday’s race, forcing the teenager to retire. The weekend got off to a great start for Horsman, who ended the free practice session on Friday in first place, after posting a 2:41.353 on a damp circuit, six tenths of a second quicker than Dan Jones. The afternoon first qualifying session saw Horsman achieve a time good enough to line him up provisionally on the second row, posting a 2:29.257, only eight tenths of a second behind provisional pole man Dan Jones, with one session remaining on Saturday morning. After overnight rain, Horsman had to work hard on a drying circuit, but he failed to improve on his time on damp tarmac, but thankfully for Horsman he stayed in fourth place ahead of the first race of the season on Saturday afternoon. Following a barrage of inclement weather, and due to three restarts to the Supersport sprint race, which was eventually cancelled, the HEL British Motostar Moto3 Standard first race was then postponed, meaning Cameron would only have one race on Sunday afternoon. Thankfully the sun came out on Sunday morning ahead of the 10 lap race, and from the start Cameron got a great leap from the line and ran in the top four during the first few laps, running the same pace as the leaders. However, then on the fourth lap the bike developed a technical problem forcing Horsman to retire from the race. Cameron now has a three week break before heading to the second round of the Championship at the Cheshire venue of Oulton Park.